What makes a people? Is it place, blood, and language? Is it myth and music and food? Is it law and ritual? Arsen Petrosyan’s collection of songs Charentsavan: Music for Armenian Duduk has, inevitably, the sound of the exotic for those of us who know little to nothing of Armenian culture, which originated in Asia Minor or Anatolia—an arid, dry area associated with Turkey, Iran, and Azerbaijan, and dominated by Hittites, the Greeks, the Persians, and the Romans—with the Armenian republic being in what had once been greater Russia, the Soviet Union. The Armenian language is Indo-European, its alphabet created in the fifth century after Christ. It is a complicated history, a sometimes contested history, for a people who sometimes call themselves Hay and their land Hayasdan—Turkey still refuses to admit that the Armenians were the object of genocide in the early twentieth century. Such a history may make Armenian artists more necessary. Do cultures actually need artists? Who else can offer a vision of wholeness, a spirit of healing? Are artists necessary or merely ornaments, even parasites? If artists are needed, how many are needed—one, two, three, twelve, twenty, a hundred, a thousand, a hundred thousand? In an amoral, insane world, one gets used to asking all sorts of strange questions. One hopes to stumble into truth. The roots of Armenian music are ancient—and its past is told in its stories of country and city, and in its melodies and rhythms, and by the instruments—cornet, drum, cymbal—that have been found by accident or excavation, as well as in the notes others have made in texts and paintings. The music, a folk art, is yet known for its singular voice—out of many, one. Of course, a classical art—an art of notation and study, of theory and excellence—began to be born too. The Armenian musician Arsen Petrosyan plays a double-reed woodwind flute, a duduk, an instrument usually made of apricot wood, though once made of bone, the instrument of Djivan Gasparyan, and Pedro Eustache, Vardan Hovanissian, Levon Minassian, Vache Sharafyan, and Ertan Tekin; and Petrosyan’s collection of songs, Charentsavan: Music for Armenian Duduk, does convey, immediately and dramatically, the aura of an old, strange and beautiful tradition. Its first song, “Eshkhemet” has a sung quality, both ritual and mourning; and beneath the duduk melody is a sustained low pulse, a drone; and the second song, “Hazar Ernek,” is mid-tempo and rhythmic, with vigorous drumming, full of little beats—obviously eastern, but what does that mean? Does one hear it and imagine men in long knee-length shirts and baggy pants and sheepskin hats, and dark-eyed women garbed in wool and silk, sparkling with gold and silver? The nine-song set is an intimate, short, pleasing program—unique. “Petrosyan’s album is spare and relentlessly intense, played in minor keys, typically with very sparse percussion, lute or drone accompaniment. The instrumentals mix originals with ancient themes, many of them rescued from dusty archives where the music had been hidden away under Soviet occupation,” noted an appreciative February 6, 2016 post on a page of the internet music site New York Music Daily, a marvelously detailed commentary that considers Petrosyan worthy of comparison to the very best musicians in his cultural tradition. Arsen Petrosyan, after boyhood musical training with Grigor Khachtryan, studied at the Komitas State Conservatory with Gevorg Dabaghyan; and Petrosyan has performed internationally, and is a soloist with the Armenian Traditional Music Ensemble. 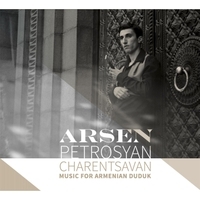 Petrosyan recorded Charentsavan: Music for Armenian Duduk in less than three weeks in Yerevan, during summer of 2015. Charentsavan: Music for Armenian Duduk is named after a town, Petrosyan’s hometown, Charentsavan, which was named for a poet, Yeghishe Charents. The composition “Naz Par” on Charentsavan: Music for Armenian Duduk has snaking melodic lines—long and sinuous (the duduk, which is and looks like a flute, sounds more like a horn than a whistle); and that song is followed by “Tapna Kervan Prtav,” which has a string instrument introduction, with plucking under the duduk sound, something that adds variety, an elegant and timeless quality. (Does “Lullaby for the Sun” begin with a celeste? It’s a lovely sound—ethereal.) “Lullaby for the Sun” has a slow pace, and like the beginning of “Javakhki Shoror” it does not make me think of dance but the rhythm does pick up—and “Javakhki Shoror” becomes wonderfully exuberant, its rise in pace and volume creating a complex cheer, inspiring movement. After the beautifully soulful “Kessabi Oror” are the long, low notes of the meditative and soothing “Havik”—its supporting drone could be wave, witness, or warning (the second duduk is playing a drone, or a pitch, called a dam as counterpoint)—and the album closes with “Hairenik,” which the New York Music Daily (February 2016) called “a plaintively airy, medieval-sounding ballad for duduk and harp.” It is impossible to listen to this music and not want to know more about its mysteries. For an internet log devoted to “the roots and branches of our shared global culture,” The Green Man Review, the Oregon writer Gary Whitehouse had noted Arsen Petrosyan’s diverse musical program and his well-traveled path (visits to Asia, Europe, and North America), and the similarity of Petrosyan’s music to Aghani and Pakistani musics. Whitehouse wrote also, “The oldest piece is called ‘Havik,’ dating from around 1000 C.E. It features just Petrosyan and the accompanying drone by Narek Mnatsakanyan. Petrosyan demonstrates superb breath, phrasing and tonal control on this haunting tune. The newest is an emotive modern folk tune called ‘Lullaby for the Sun’ by modern Armenian oud player Ara Dinkjian. Petrosyan is accompanied by an acoustic guitar and the subtle African Igbo drum called the udu” (January 19, 2016). Having an artist discuss his work and culture is an exciting, illuminating thing—and I was happy that Arsen Petrosyan agreed to participate in an electronic exchange. Questions were sent to Arsen Petrosyan on February 12, 2016, via Garrett Baker, a publicist with FlipSwitch; and, although I suggested two weeks later, February 26, as a return date for the answers, Arsen returned them in a few days, February 17. Garrett: There seems to be a certain melancholy to the sound of your album Charentsavan: Music for Armenian Duduk. Do you think of that sound as melancholy yourself, and do you feel melancholy when playing the music? Petrosyan: In general, the duduk has a melancholy sound. It is inherent to the instrument. However, each artist may choose to approach the instrument in a different manner. Yes, there are times when I do feel melancholy when performing on this instrument. This is primary due to the composition at hand and the needs for each piece. However, I myself am not a melancholy person. Garrett: What do you see as being your music’s relationship to other music being made in the world now—popular, folk, and classical forms of music? Petrosyan: I am an open-minded musician. I believe the duduk and Armenian folk music can be distinct in its sound, yet flexible in the context of both Western and Eastern Music. For example, I recently performed in India where the audience was mesmerized at the sound of the duduk. Yet, it didn’t seem that foreign a sound to them. I have performed within the context of Western classical music, flamenco, jazz, and rock. As with any relationship, the chemistry must be organic. I see that with music as well. Garrett: What is an Armenian duduk, and what other instruments would you compare it to? Petrosyan: The Armenian duduk is an indigenous instrument that has a history of over 1500 years. Made from the wood of an apricot tree, the duduk is a double-reed woodwind flute. It has been sonically compared to the human voice, a cello, and oboe. It also may sound like a saxophone and clarinet as well. Garrett: Armenian literature has ancient roots, and there are modern writers such as Khachatur Abovian, Nigol Aghpalian, Hagop Baronian, Gevork Emin, Dikran Gamsarian, Melkon Gurjian, Paruyr Sevak, Levon Shant, Siamonto, Vahan Tekeyan, and, of course, William Saroyan who are Armenian or have Armenian antecedents. 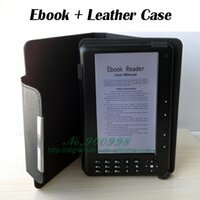 Do you have favorite writers or poets, Armenian or not? Petrosyan: I respect and appreciate you knowledge of Armenian writers! My favorite writers in general are Hovhaness Toumanian, Raffi, Hovhaness Shiraz, Bayrur Sevan, Derenig Dermerjyan, Antoine de Saint-Exupéry, Alphonse Daudet, and Franz Werfel. Garrett: What are the current manifestations of Armenian culture that people might recognize, or should know? Petrosyan: I think many people associate Armenians with ancient cultures and traditions. For example, Armenians are well known, artists, musicians, and tradespeople. Armenia is the first nation to accept Christianity as state religion. Of course, we are also known as a people who suffered during the first genocide of the 20th Century and its ramifications. Garrett: Could you describe your childhood and early education, and how you became interested in music? Petrosyan: I had an ideal childhood, surrounded by friend and family. I especially connected with nature, in which I find inspiration. Although I was born and raised in Charentsavan, Armenia (about 30 minutes from Yerevan), my family roots go back to an Armenian enclave in Georgia called Javakhk. Before that, my family originated from Erzurun, a historically Armenian area now currently in Turkey. My interest in music is rooted in being exposed to Armenian songs growing up. I mainly heard these songs initially from my immediate family and extended relatives, and then as part of growing up in Armenia in the school system. Armenian music has always been a part of me, whether I knew it or not. Garrett: In what ways have you pursued music education, practice, performance, and production? Petrosyan: Although I picked up my first instrument (shvi) at the age of 6 years old, it wasn’t until the age of 15 when I knew it was my calling and I would embark on a career path as a musician. I sought out the best teachers I could find to teach me the craft of not only the duduk, but, associated Armenian folk instruments. That path led me to our current master of the duduk, Mr. Gevorg Dabaghyan, whom I studied under at the Komitas State Conservatory of Yerevan. I received my undergraduate and graduate degrees in folk music. My practice schedule varies from day to day, however, on average I focus on the duduk about 4—6 hours a day. I perform professionally several times a week domestically and am on tour on an annual basis. I recently signed a two album record deal with Pomegranate Music and am focused on promoting this current album while thinking about the concept for the next album. Garrett: What went into making your album Charentsavan: Music for Armenian Duduk? Petrosyan: The concept of the album was several years in the making. I wanted to find a way to connect over 1000 years of Armenian music while creating a consistent sound. As you know, Armenia has had a challenging history. What is now the Republic of Armenia is a small slice of what historic Armenia once was. Therefore, many of the pieces are from areas of Historic Armenia (Turkey) that were in danger of being lost. I did my research in the Art and History Archives here in Yerevan and selected pieces that were in danger of being forgotten. I arranged the pieces and recorded them for this record. The studio recording process took about three weeks but my preparation was years in the making. Garrett: What kinds of responses have you had thus far to Charentsavan: Music for Armenian Duduk? Petrosyan: I am grateful to have received positive responses for my performance on this album. I am humbled by this. Some of the feedback received have called the programming “brave,” “refreshing,” “deep,” and “enjoyable.” I am extremely thankful. Garrett: Do you pursue interests in the other arts, such as literature, film, painting, sculpture, choreographed dance? Petrosyan: I do not professionally pursuit interests in these forms of art, however, I remain an admirer of art in general. I especially enjoy going to see foreign films. Garrett: Namus (1925), the silent film by Hamo Beknazarian, based on Alexander Shirvanzade’s 1885 novel, followed by other works, such as the genocide film Nahapet (1977), and the visionary documentary Andin. Armenian Journey Chronicles (2014), are some of the films taking on Armenian subjects. Are there films that you think have given a particularly significant portrait of Armenian history or culture? Petrosyan: Yes, Sergei Parajanov’s The Color of Pomegranates. It is the most famous Armenian film I can think of. I also enjoyed Atom Egoyan’s Ararat. Garrett: What do you think about the relationship of art to politics? Petrosyan: While I do think that there is somewhat of a relationship between art and politics, I remain focused purely on the arts itself and leave politics to others. Garrett: Are you interested in philosophy? Petrosyan: I am extremely interested in philosophy. I study mysticism and particularly the writings of Grigor Narekatsi, an Armenian philosopher. His composition “Havik” is on my current album. It is an ancient sacred song that he composed over 1000 years ago. Garrett: What do you think is the secret to happiness or joy? Petrosyan: I define happiness with how you choose to live your life and the path that you take. For example, I have chosen to be a musician. It is inherent to who I am and therefore, I derive great pleasure from being able to do what I am naturally gifted at. I believe that one should acknowledge what their path is in life and follow it. Garrett: What are your hopes for the future, for yourself as a man and musician, other Armenians, and the world? Petrosyan: I hope that people will enjoy what I have to offer in my album Charentsavan: Music for Armenian Duduk. I wish this because it reveals who I am as a person, where I come from, and what culture I represent. Right now, my hope is to work with other global artists—young and old alike—learn from them, and also contribute my knowledge where I can. While I am proud to be an Armenian, I am even more to be a global citizen. As such, connecting with different cultures is paramount to my growth as a person and an artist. I wish the same for others. Thanks you. Health and happiness, as well as creativity, to you, Arsen.